Originally Submitted to FurAffinity.net on Feb 11th, 2016 12:41 PM. Before it was transferred to Inkbunny it had 935 views and 39 favorites. Hey young blood, doesn't it feel like our time is running out? 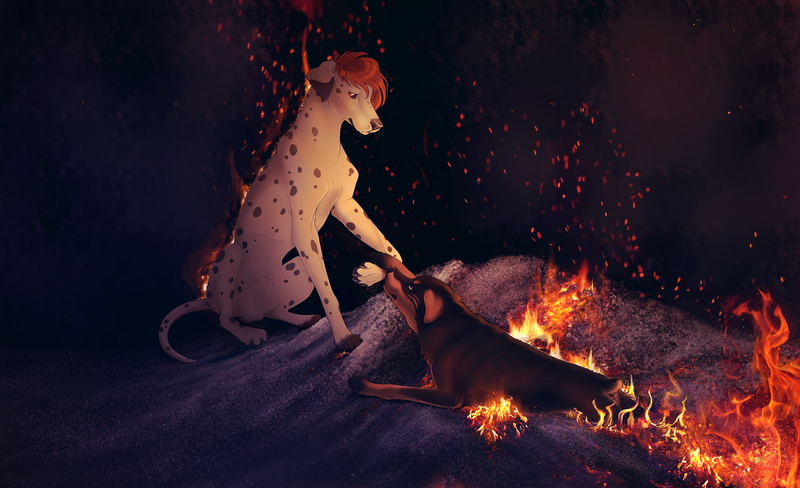 Another music-inspired piece, this time done by the incredibly talented shadowwolf Seriously, her style is breathtaking. I've never met someone who can draw ferals like her.